For this week's edition of the "Give em' a Break!" 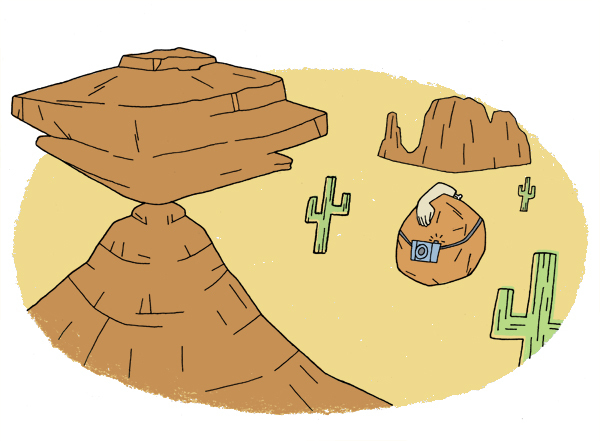 summer illustration project, I chose James Franco's arch nemesis, the boulder. Ya know, he'd been stuck in that crevasse for quite some time, I thought he deserved to take a walk around his own neighborhood. Who knew he was into photography!